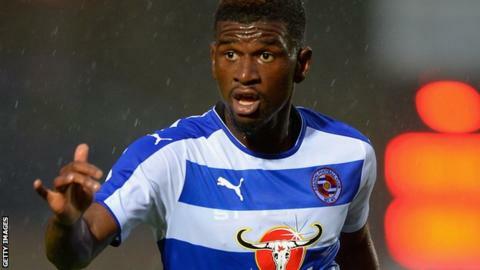 Reading midfielder Araon Tshibola has been ruled out for at least a month with an ankle injury. Tshibola, who signed a new four-year contract at the club in September, sustained the injury during a 4-2 defeat at Fulham on Saturday. The 20-year-old has made 15 appearances in all competitions this season. "We're waiting on the specialist's report, but it doesn't look good for a number of weeks for Aaron," manager Steve Clarke told BBC Radio Berkshire. "It's terrible news for Aaron and also a big blow for the squad because he's been a key member so far this season." Midfielder Stephen Quinn and striker Hal Robson-Kanu will also miss Saturday's visit from Championship leaders Brighton.